What if Statements Regarding a Residence Are False in the Divorce Documents? In order to establish jurisdiction -- a court's power to hear a case and enter judgments -- you have to meet your state's residency requirements. When you file a divorce complaint, alleging your residency is required. Lying about your residency in a divorce complaint can result in the dismissal of your case and delay receiving your divorce. Residency is key to a court's jurisdiction over a case; generally, at least one party to a marriage must have resided in the state for the requisite length of time or the court can't enter a divorce judgment. Every state has its own requirements, which can vary greatly. For example, you can file for divorce immediately in Washington and Alaska, but Maryland requires you to reside in the state for a year. New York requires the parties to reside in the state for one year if the parties were married in the state or resided in the state as husband and wife, but requires that at least one party establishes two years of residency if the parties were not married in the state. Some states require you to prove residency before the court will hear your divorce case. You should check with your state to see what the court will accept as proof of residence. Commonly accepted forms of residency verification include driver’s licenses, identification cards and voter registration cards. Some states also require an affidavit from a corroborating witness confirming, under oath, the spouse has met the residency requirements. 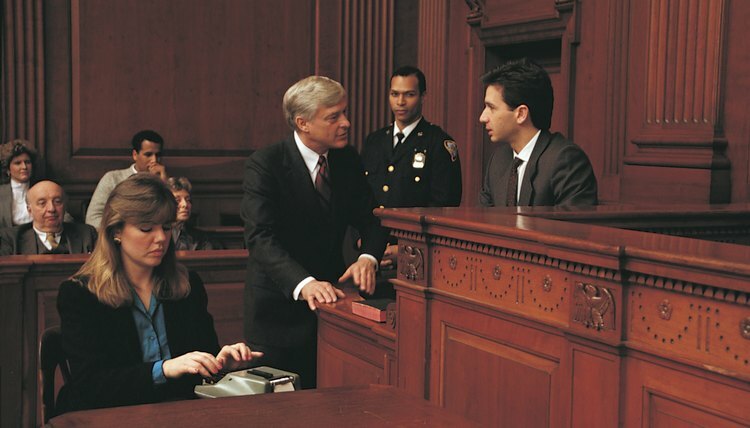 Usually, the corroborating witness must be someone other than the husband or wife in the case. If the filing spouse lies in the petition or complaint for divorce, saying the residency requirement has been met, the responding spouse can file an answer with the court denying the filing spouse has been a resident of the state for the requisite period of time. The filing spouse would then have the burden of proving residency within the state for the required amount of time. It is important to remember that the residency requirement generally must be met at the time the petition or complaint is filed; meeting the requirement by the time of hearing usually won't be sufficient. If a spouse cannot establish that he or she has honestly met the residency requirement, the court can dismiss the petition or complaint. However, the court typically dismisses the case without prejudice, which means that the filing party can refile after meeting the residency requirement. If a filing party realizes he or she was mistaken about the residency requirement, he or she can voluntarily dismiss the petition without prejudice rather than waiting for a court to do it. Is a Court Appearance Necessary for a Divorce Online in North Carolina? Finding common ground in a divorce action is not always easy. For divorcing couples in Virginia who cannot agree, the state has several requirements for successfully completing a contested divorce. The process begins by responding to the divorce petition, known as a Bill of Complaint in Virginia, and participating in a hearing with a divorce commissioner. Afterward, the case will then proceed to trial and be decided by a judge, once all pretrial matters have been completed. You can change your legal name in Oregon for various reasons, as long as you're not doing so to commit fraud or hide from court actions or financial obligations. Name change proceedings are conducted in the probate or county circuit court of the Oregon county where you reside. Oregon has numerous filing requirements for a legal name change, and you must submit all the forms in order to change your name. Divorces are often portrayed by the media as bitter and highly confrontational. Many couples, however, can reach agreement on their own regarding the fundamental issues, and Maine law provides a more streamlined divorce process in these instances. Understanding what paperwork is involved and when participation is required can help spouses that are on the same page obtain a final divorce decree faster and easier. Can You Just Not Do Anything in a Divorce if You Are the Respondent?